An extra fine flea comb with long stainless steel pins for penetration of the coat without scratching. 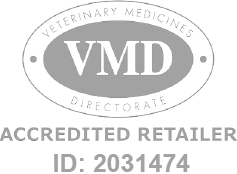 Flea Comb is a Prescription Only Veterinary Medicine and by law requires a prescription from your vet. Removes fleas, dirt, scurf and dust from the coat.